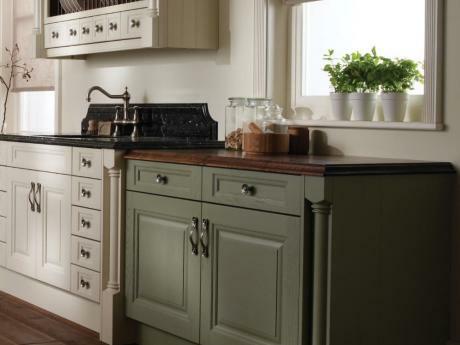 A traditional kitchen range celebrates the main purpose of a kitchen as a place to cook. Functional accessories put practical pieces on display such as crockery, vegetable baskets and wine racks. Intricate detailing and raised centre panels are a particular characteristic of a traditional style kitchen range and beautiful pilasters, feature end panels and over hob mantels compliment the look. Natural timber and painted finishes combine perfectly to complete the look. A traditional kitchen will bring a touch of elegance to any type of home, whether large or small, old or new and the durability of the materials used will ensure the kitchen is enjoyed for many years.